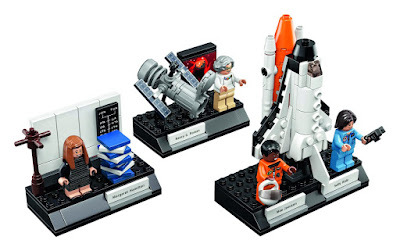 This morning LEGO fans woke up to a surprise: LEGO is launching (heh) the Women of NASA set. Part of the LEGO Ideas crowdsourcing initiative, it follows the Research Institute set from a few years ago (included a female astronomer, chemist, and paleontologist). This new set is remarkable for a few reasons. First, it's one of the rare sets that has LEGO minifigures based on actual, nonfictional, real people. There have been NBA players and race car drivers (NASCAR and others), Abraham Lincoln got one out of The LEGO Movie...but it's rare to see. 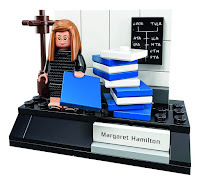 And these may be the first LEGO minfigures of actual, nonfictional, real women. It's notable because the women it's celebrating are scientists and astronauts. LEGO has a problematic history with female characters, but in the last five years, it has progressed leaps and bounds. Representation of women in regular minifigure form used to be a ratio of 14: 1 male to female figures, they've narrowed that gap to about 4: 1. Possibly more remarkable, the female characters they're including in the mix include police officers, firefighters, construction workers, explorers, and ninjas. This is in addition to the LEGO Friends line, which has a different kind of minifigure (mini-dolls) and which opinion is split on, but it's selling gangbusters and has some really excellent toys. Adding an astronomer, astronauts, and computer scientist to the toybox sends a wonderful message to kids and adult collectors. Margaret Hamilton, an Apollo-era computer scientist. Without her, we may not have gotten to the moon. 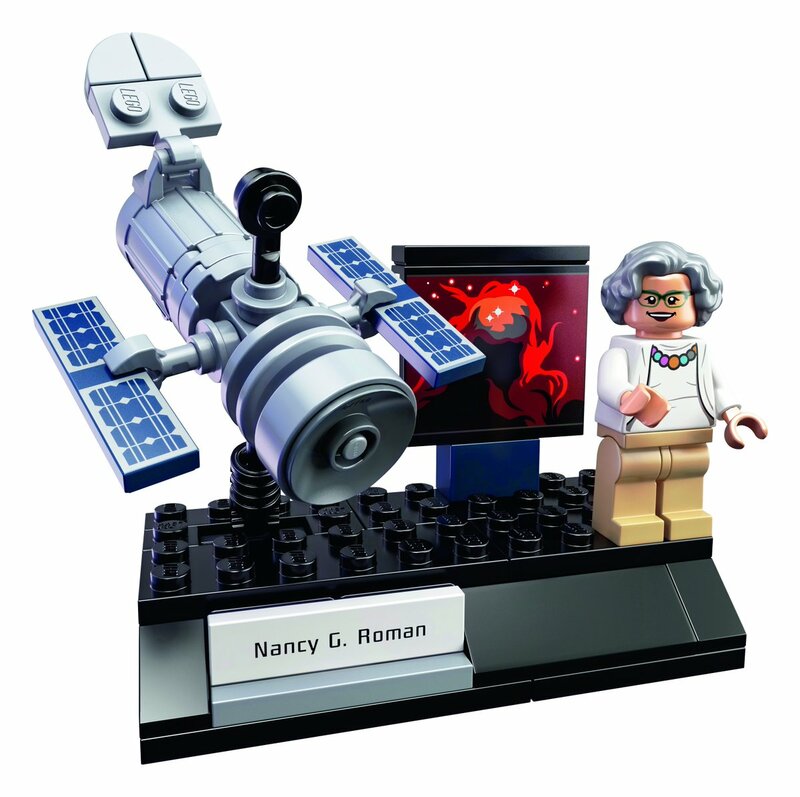 Nancy Roman, an astronomer who was much of the brains behind the Hubble Telescope. Mae Jemison, the first African-American woman in space (and also a transporter/teleporter engineer on an episode of Star Trek: The Next Generation). I'm not even kidding. I never kid. The way this set was first proposed by designer Maia Weinstock, it also included Katherine Johnson, the heroine of the recent book and movie Hidden Figures. 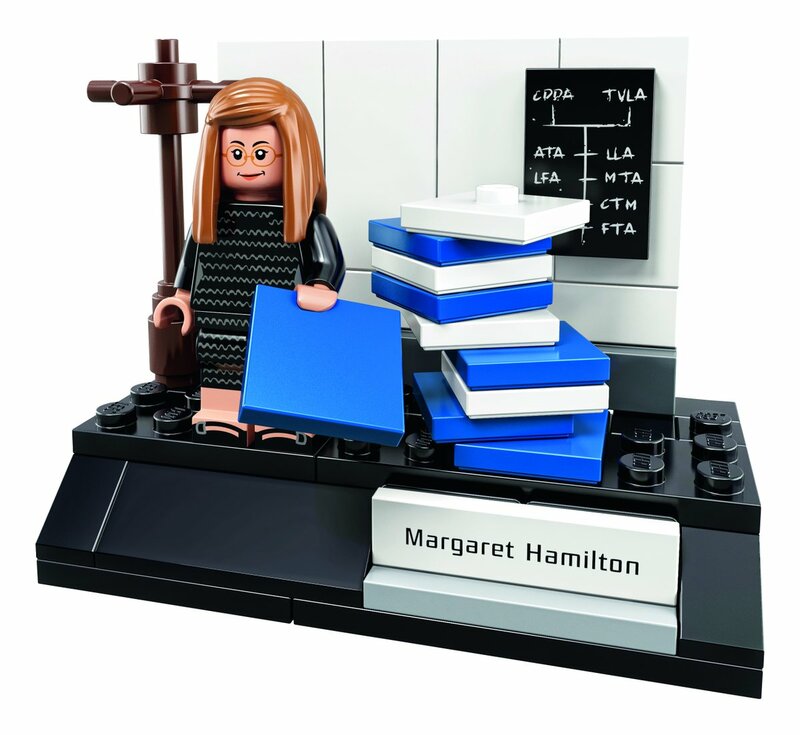 Evidently LEGO was "unable to secure permission from key people" to make that minifigure, so she was excluded from the set. Which is a shame, but I'm pretty sure I'll be making my own version to complete the set. Each of the women comes with a tiny vignette, built more to display them than to actually play with. Hamilton with a stack of notebooks and chalkboard, Roman with a model of the Hubble Telescope, Ride and Jemison with a space shuttle. Each is a fantastic microbuild. The set debuts on November 1st. If you're interested, BUY IT AS SOON AS POSSIBLE. The Research Institute set sold out quickly in its initial run, and became very hard to find. I mean, you can get it on eBay for about $40, but you won't find it in stores at its original price. I'm assuming this set will also be in high demand, so pick it up while you can. One for your classroom, one for you, one for your niece, another for your nephew. And possibly one for my mom, because Nancy Roman is looking a LOT like her there. We all need heroes. I'm delighted that LEGO is putting these women on a tiny, brick-built pedestal.